Woodcut on sale! 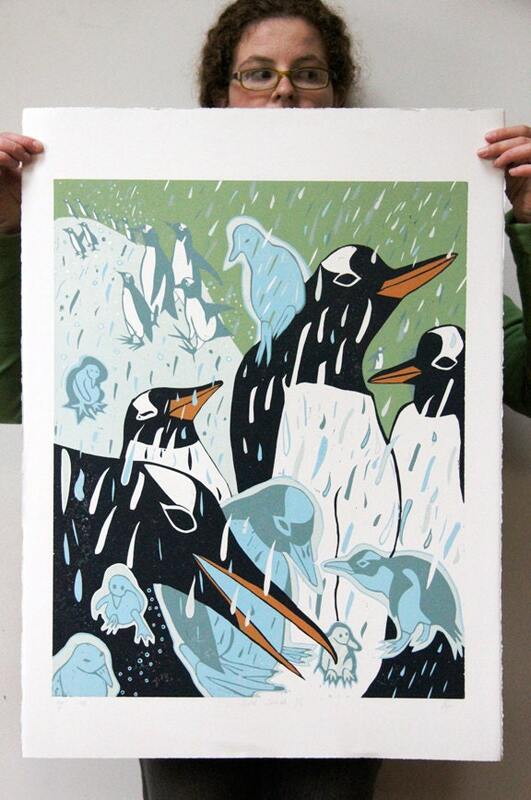 I have a few editions that I have been hanging onto for a couple years that I am putting on sale. This is a $700 woodcut on sale for $600. Hope you love it! Antarctica has been affected by the change in climate in ways that may seem unlikely. 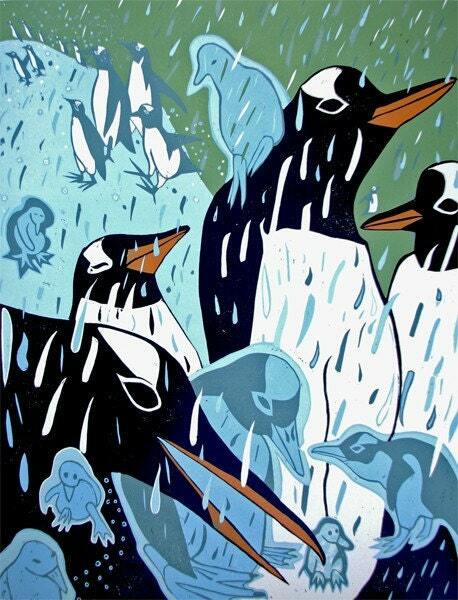 There have been many more rainstorms on this southerly continent and some penguins are not faring too well. It takes penguin chickies more than a month to develop the feathers they need to protect themselves from the elements and when it rains, their light down is penetrated and they can actually freeze.